Can you believe summer is right around the corner? 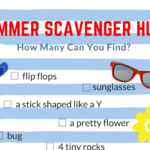 Every mom I run into has been asking the same thing – What are you guys doing this summer? 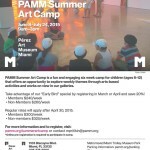 Have you booked summer camp for the kids yet? It’s the time of year when a lot of parents (like this mom right here) start going a little bonkers trying to get it all planned out. 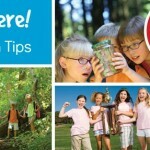 Picking the right camp for your child is important. The “summer slump” is real and no one wants their child mentally backsliding because their minds hadn’t been engaged for the entire summer. A technology-focused camp will help with that. 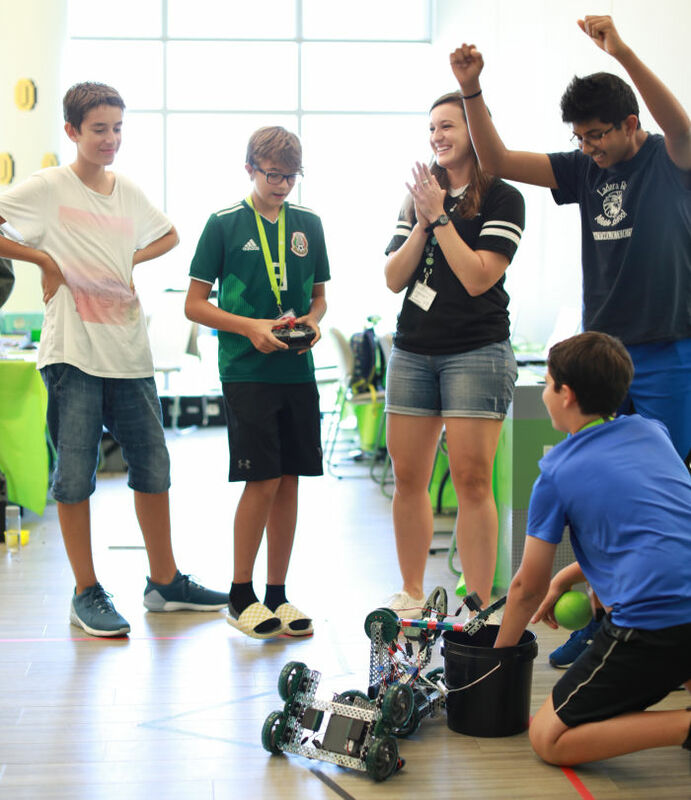 iD Tech Miami summer camp returns to the University of Miami campus with course offerings available for kids ages 7-18.
iD Tech Miami Summer camp courses include Coding, Robotics, AI, Game Design (Minecraft, Roblox and yes, Fortnite) and Video creation. There are even YouTube Video production courses for kids curious about starting their own social media channel. My own Little Made Man attended iD Tech’s Minecraft camp and he loved it. I personally was super impressed with the professionalism of iD Tech’s staff and how well organized it was. 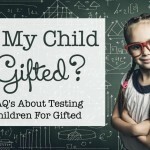 At the end of the week, parents were invited to see what your child had been learning. My son gave me a full powerpoint presentation on the Minecraft “world” he had spent the week creating, and he was able to take the presentation home on a flash drive. It was quite impressive. 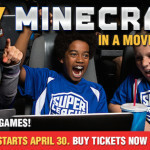 Keep reading for more info on iD Tech but the big news is, Mommy Mafia readers can save $75 off camp registration now! Details below! iD Tech is the #1 tech summer camp. iD Tech is the world leader in summer STEM education, with over 20+ years of experience. Top-of-the-line software and hardware: Adobe. Apple. Microsoft. Nvidia. Epic Games. Unity. Roblox. X Labs. Our curriculum is always a step ahead, ensuring that our students develop the latest, most in-demand skills. The iD Tech Pathway™, our long-term skill development system: With over 50 cutting-edge summer courses and year-round Online Private Lessons, we set your child up for college, internships, and dream careers. Our alumni often go on to launch startups, found nonprofits, and land jobs at tech powerhouses like Google and Facebook. 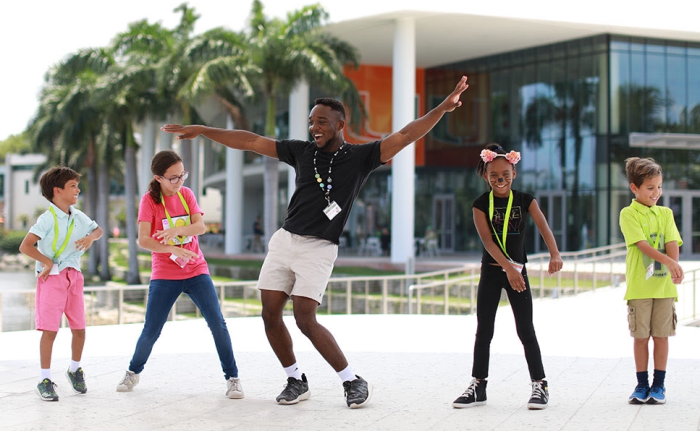 150 prestigious campus locations: We’re the only summer tech program that’s been trusted by the top universities on the planet including University of Miami, Stanford, NYU, Caltech, HKU, and University of Cambridge. Our locations lineup is as convenient as it is impressive, with plenty of inspiring nearby options. World-class staff, proven pedagogy, and guaranteed small class sizes: We recruit the top talent from universities like Stanford, RIT, and Caltech to inspire our students in an upbeat, collaborative environment. With an average of just 8 students per instructor (maximum 10), your child will experience the perfect blend of one-on-one attention and self-led discovery. Real-world skills and summer fun: Dress-up days. Raffles. Outdoor activities. Gaming tournaments. Music video parodies. Pie-your-instructor Fridays. Our fun camp culture takes the pressure off so students can build a lifelong passion for tech alongside new friends. Convenience, flexibility, and stellar service: You can make unlimited updates to your registration with no fees-up to 3 weeks before your start date. 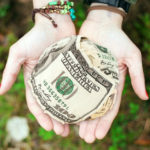 Need flexible payment options? 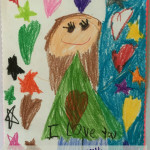 Reserve your child’s spot with a $285 deposit per week of camp and pay the balance by May. Our Camp Specialists are ready to answer your questions and provide personalized course recommendations. In addition to our flagship iD Tech Camps for ages 7-17, we also offer all-girls camps, teen-only Academies, an advanced capstone program, and year-round Online Private Lessons. 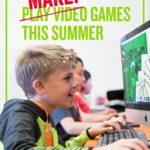 Exclusive to Mommy Mafia readers, you’ll receive $75 off when you register for iD Tech Miami Summer camps with code MOMMYMAFIA19 before 8/22/19. Courses sell-out quickly. Get started today at idtech.com or call (888) 709-8324 for personalized course recommendations. Make unlimited updates to your registration up to 3 weeks before your session with no fees. But remember to book right away, these classes are super popular and spaces will go quick.